1. Preheat a grill or grill pan to medium high heat. Season the chicken breasts on both sides with the Italian seasoning, salt and pepper. Drizzle the olive oil over the chicken. 2. Cook for 4-5 minutes on each side or until chicken is done. Cook time will vary depending on the thickness of the chicken breasts. 3. Cut the chicken into bite sized pieces. 4. While the chicken is cooking, bring a large pot of salted water to a boil. Cook the fettuccine according to package directions. 5. Drain the pasta and return it to the pot. Pour in the pasta sauce and half the chicken and toss to coat. 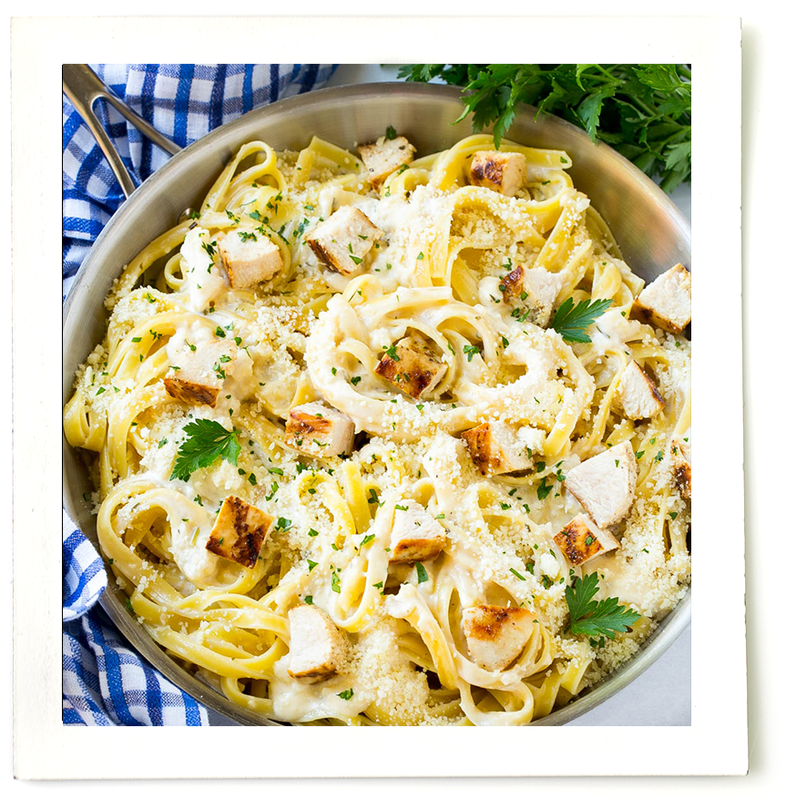 Place the remaining chicken, parmesan cheese and parsley over the top of the pasta and serve immediately.